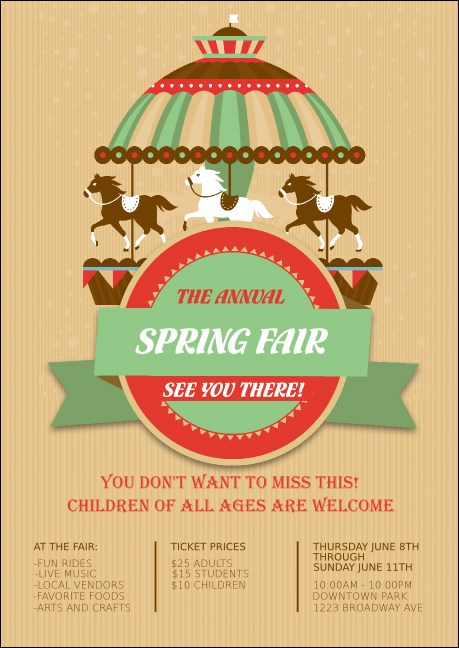 Create a cheerful buzz about your upcoming event when you pass out the Merry Go Round Club Flyer in advance. This springlike template features mint green and peach colors, with a sweet carousel in the middle. Describe your carnival or fair in twenty-one generous lines. Big announcements can come in small packages! Announce your community event with the right club flyer from TicketPrinting.com.